Maintain your brand by matching all of your marketing products. Reach customers online with easy-to-use digital marketing tools that match your print materials. Establish your online presence with our easy-to-use website builder and a custom domain name. Or let our experts build your website while you focus on what you do best. Reach potential customers and stay connected with Vistaprint’s digital marketing tools. Give our digital products a test drive. If you’re not completely happy, you can cancel anytime during the free trial and not pay a dime. What is a website domain? A domain name is like your address on the Internet. The domain name is the way that customers will find your website. When the domain, like www.mybusiness.com, is typed into the browser, the browser goes to that location and shows the content that it finds there. Your domain name also acts like your identity online, so it should be closely related to the name of your business or the products and services that you offer. It is important to have your own personalized domain name to give your business a professional and credible online presence. There are two main methods to building your website. If you are technically proficient and have the time to invest, you can learn HTML, CSS, and other web development technologies to build a custom website from scratch. This method will give you complete flexibility and control over your website, but will also require a significant time investment. The more popular method is to use an online website builder tool to help you build a professional-looking website in a fraction of the time. With these online tools, you can start with one of hundreds of pre-built templates, then customize the look with your business logo, colors, fonts, and images. Then you add your content, pages, and other items like forms, social media connectors, and shopping carts. 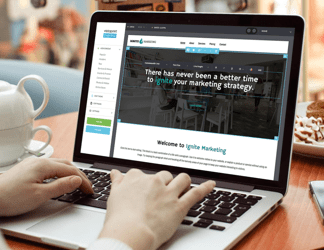 Using an online website builder, you can get a highly-personalized business website with minimal effort using easy-to-use tools. Can I build my website myself? Using an online website builder, it can be quite easy to build your own website. These tools provide pre-built templates and modern website designs that give you a head start. You can then easily add pages, content, images and more to make the website your own. 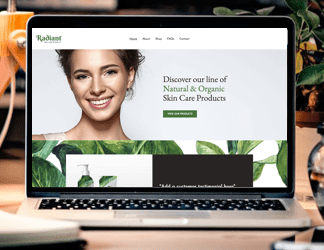 If you still feel that building your business website isn't for you, Vistaprint offers an inexpensive Do-It-For-You design service that can build your custom website under your direction. This is an great way to quickly get your website up and running while you focus on running your business. Sending emails to your prospective customers for the purpose of educating them on your products and services, and ultimately getting them to do business with you is email marketing. Email marketing can be an incredibly useful marketing tool, given that most adults use email regularly, sending emails is free, and emails can include images, text, and even video of your offerings. While you can easily write and send emails to one or even a small group of people, you will typically need an email marketing tool to help you build more professional and elaborate email campaigns, and to send them to a large number of recipients. These tools can also help you track the results of the emails so you know what is working for you. How do I get my business listed on Google? Google allows businesses to create a free business profile, sometimes referred to as Google My Business (formerly Google Places). Your business profile includes your business name, a brief description, contact information, and even photos. In addition to Google, you should make sure your business is listed on a number of other online directories as well. Some examples include search engines like Bing, directories like Yahoo and Yellow Pages, and platforms like Yelp. Establishing your business listing on all of these sites can be time consuming, but services like Vistaprint's Search Engine Listing Manager can automate the process for you. By entering your information once, we can get you listed on more than 100 directories and sites. And whenever you want to make a change, we will update all of your listings with one click. We do not require long contracts for any of our digital marketing tools. You can choose a monthly plan to get the most flexibility, or an annual plan to save even more money. You can cancel at any time through your dashboard or by calling Customer Care. You can cancel at any time through your dashboard or by calling Customer Care. I've used several website builders and I believe I have created my most stunning one yet in less than 15 mins. It looks amazing and makes my business look so professional! I couldn't have asked for anything better! I was intimidated by the complexities of the computer. I braved it out, built my own and I can't tell you how wonderful it has been. My clients love the user-friendly layout, and my own personal touches. Do it. I signed up for a free trial on the website builder and I absolutely love it! It is really easy to use, with step-by-step guides and how to videos. It is incredibly easy to use for someone without an extensive computer background. I enjoy using it and can have a basic site up in no time at all. They did an excellent job with my website and keep doing an amazing job whenever I need help! All products include real-time support. Call 0800-496-0350 to talk with one of our digital experts.